Mimosa Hostilis is also known as Mimosa tenuiflora. It is a tree or shrub of tropical origin and is in the legume family. As such, it is capable of fixing nitrogen in the soil just like peas and beans. It is thorned, with fern-like branches and surface-growing roots of a bright pink color. Mimosa hostilis is also known as a medicinal and psychedelic among native people. 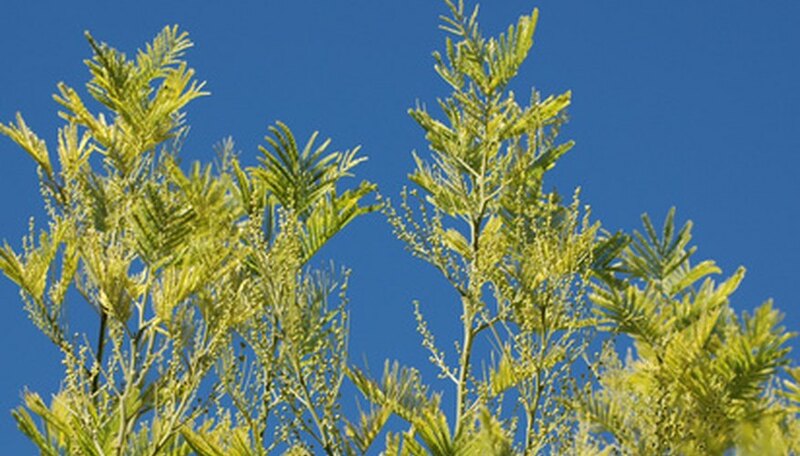 Mimosa hostilis is a medium-sized tree with smooth, brown bark and green stems. The lacy leaves remain on the tree year-round in warm to hot climates. The tree gets elongated white flowers with the texture of a bottle brush that give way to legume-like pods. The pods have a dry husk on the exterior and remain on the tree for a lengthy period. The seeds require sloughing or scraping of some kind to pierce the hard exterior and ready them for germination. The seeds can remain viable for up to four years. Mimosa hostilis is native to Brazil. It grows in arid forest of the region and enjoys the lush soils and dry atmosphere. Annual rains begin in January and last until June. The area is warm and tropical in climate and the trees grow in the organic rich soils of a tropical forest. In its native habitat it can grow quickly and will survive in altitudes of up to 1000 feet. The tree can survive in the dry caatingas of northeastern Brazil and is found in Paraiba, Rio Grande de Norte, Pernambuco, Ceara and Bahia. When forest fires range across the tree's habitat, the Mimosa tenuiflora has an interesting response. It sends shoots up quickly and recovers easily. Not only does the tree fix nitrogen, which enriches the rest of the flora in the area, but it also conditions the soil. Its dropped leaves compost into soil and add to the thick humus characteristic of a tropical forest. Soil around a Mimosa is rich and seed-ready, creating a wonderful nest for other plant species. The tree grows in other semi-tropical areas. It is found in southern Mexico from Oaxaca to the coast of Chiapas. Its range runs from Brazil up the South American continent. It is also found in Central America and Venezuela. The plant will be found in semi-arid jungles and dry plains and hillsides. The American mimosa is not in the same family as this plant, even though they are similar looking. There are no records of Mimosa Hostilis growing in the U.S. The plant can yield a substance called DMT, which is illegal in the U.S. Mimosa hostilis bark has been featured in the shamanic rituals of Aztecs and native Brazilians. It has a purgative effect and then gives way to an altered sensory state. It is also beneficial for burns, pain, antiseptic and various other properties. It has been found to stop bleeding and help skin regenerate in two to three weeks. Other claims, such as hair regrowth, abound online and are not substantiated. The substance is not approved by the FDA (or the DEA).